The Memphis City Council voted unanimously to dig up Confederate General Nathan Bedford Forrest and his wife from a local park and sell his statue. 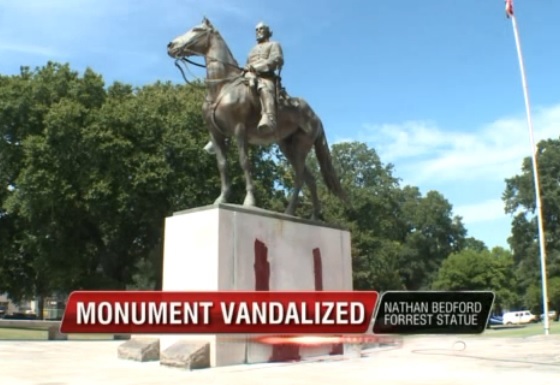 The Nathan Bedford Forrest statue was spray painted with graffiti by vandals in 2013. Now the statue will be sold off and the graves removed. The Memphis City Council unanimously approved a resolution Tuesday to move the remains of Confederate General Nathan Bedford Forrest and his wife from Health Sciences Park. But local black activists can’t wait. The race activists brought a shovel to the park this week to being digging.